The one-card middle pass is a versatile, although relatively unknown and underused sleight. 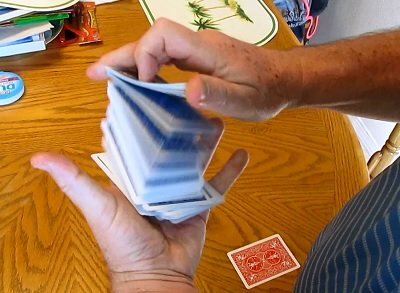 Raymonde Crow teaches this powerful move, plus several unique variations of what he calls the Sandwich Pass, which will enable you to instantly control a card to second-from-the-bottom, to create a sandwich effect, and to move a card into gambler's cop. In addition, Raymonde teaches two of his go-to card effects for the Sandwich Pass, the Comedy Sandwich and The Prince and the Pauper, from his book As the Crow Flies , available here at Lybrary.com. These powerful effects require no setup or gaffs, and can be done with a borrowed deck, not to mention they are fun routines with built-in laugh lines.